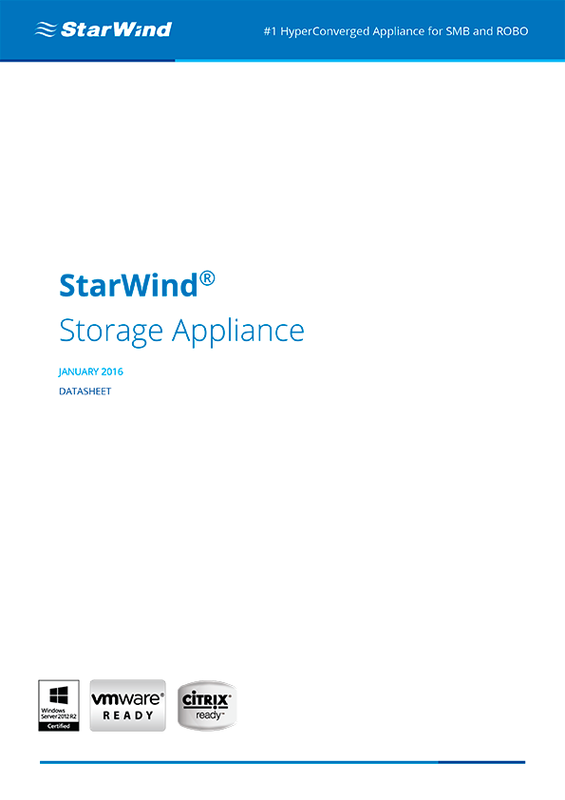 The document tells about models, components, and specifications of StarWind Storage Appliance (SA), which is a high-end storage unifying hardware and software components from world-known vendors. 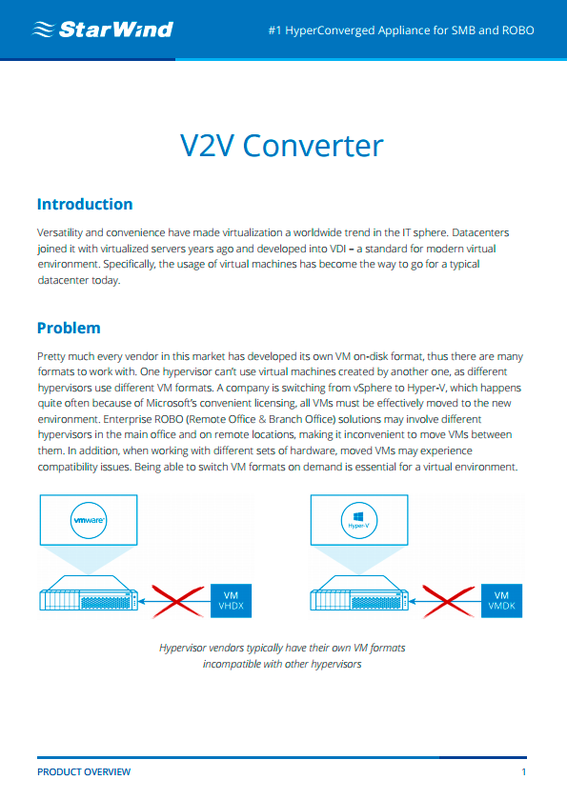 This document describes StarWind V2V Converter which converts virtual machines freely from one format to another by "cloning" them and keeping the original copy intact. It can convert any industry-standard format into another one and back. This technical paper is intended for SQL Server users who are thinking of upgrading their SQL Server 2005. 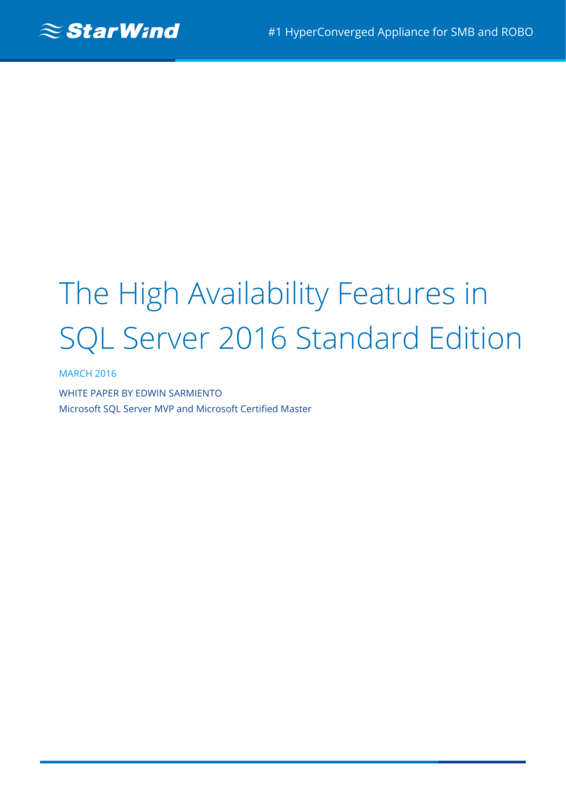 As there are two options available, namely SQL Server 2014 and SQL Server 2016, this document is all you need to make the right decision based on your current high availability and disaster recovery requirements. 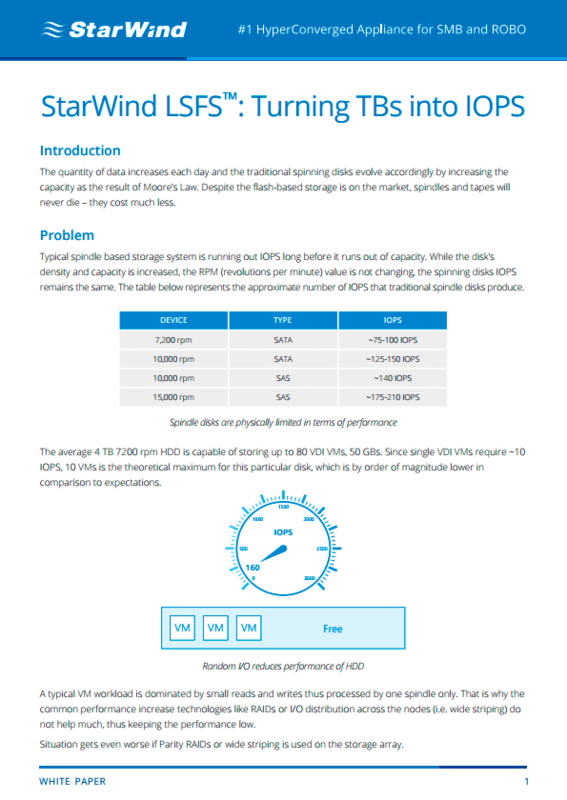 This white paper introduces the Log-Structured File System, which allows StarWind Virtual SAN users to turn their inexpensive disk space into costly IOPS. It increases RAID performance by involving multiple spindles into processing of the same request. 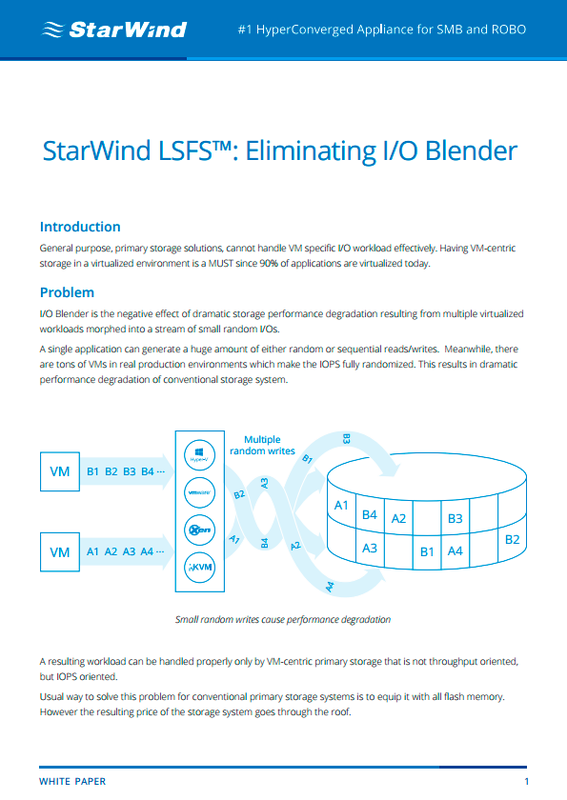 This document describes the way Log-Structuring technology battles "I/O Blender" effect, which dramatically lowers virtual storage performance. Designed for VM-specific workload type, LSFS (Log-Structured File System) fights random I/O, keeping performance high.